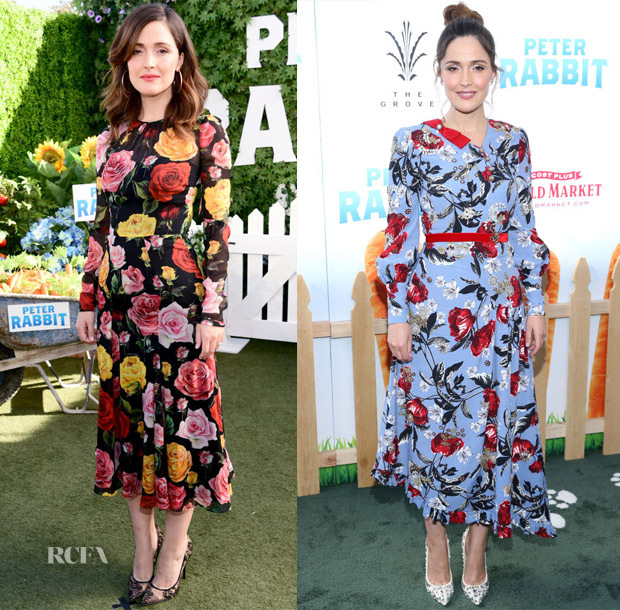 Rose Byrne had a very rosy outlook while promoting ‘Peter Rabbit’ this weekend in Los Angeles, California, joining Margot Robbie. Photocall: I love how her Dolce & Gabbana chiffon dress was oozing plenty of garden party appeal, with the romantic impact magnified by the statement yellow, pink, and red roses. Premiere: On Saturday (February 3), the actress wore her second floral dress for this promo tour, selecting a glorious piece from Erdem’s Spring 2018 collection. 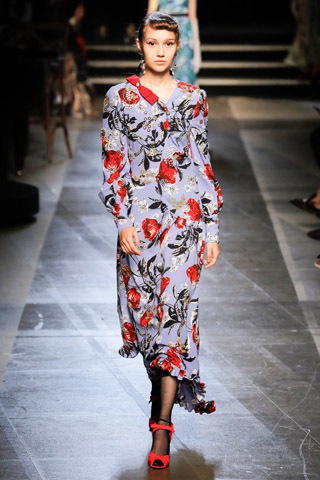 With the stylistic references edge towards prim and proper, the punchy floral print and asymmetrical cuts keep things firmly in the modern arena.